Daire Chemicals offers a range of novelties in the field of engineering polymers for metal replacement projects and to meet high thermal resistance needs. Among these, the Leona 90G® by Asahi Kasei, a PA 6.6 partially aromatic polyamide copolymer with glass fibre grades (up to 60%) with high modulus and a linear thermal expansion coefficient similar to steel and iron. The compound is ideal for aesthetic applications, even those with a high glassfibre content. The structural compounds reinforced with long glass fibres and carbon fibre developed by RTP Company are also interesting. The products with long glass fibres are an excellent compromise between rigidity and resilience, while those with carbon fibres are recommended for high modulus performances. The PP reinforced with long fibres can also be a valid alternative to PA 6 and PA 6.6 with glass fibre, especially for applications that do not require elevated operating temperatures. FVL PP guarantee similar shrinkage, no moisture absorption, lower specific weight, similar mechanical properties and greater resistance to impact. RTP compounds reinforced with long glass fibres in a PA 6.6 base, on the other hand, ensure high modulus, high resilience and resistance to fatigue. RTP also proposes a range of products for high temperature applications, also with alternative solutions to PEI. To meet mechanical needs and resistance to high temperatures, Daire suggests DIC and Gharda products. The Japanese DIC, the leading integrated producer in the world of polyphenylene sulphide in linear and cross-linked versions, ensures continuous operating temperatures up to 200 °C with a wide range of products, without fillers, toughened and reinforced with glass fibre or glass/mineral for applications in different sectors, like automotive, electronics and even applications that come into contact with food and water. For continuous thermal exposition in the 280-300 °C range, the engineering polymers PEK-GPAEK®, PEKK-GAPEKK® and blends PBI-PEK GAZOLE® by Gharda Chemicals provide the ideal solution. 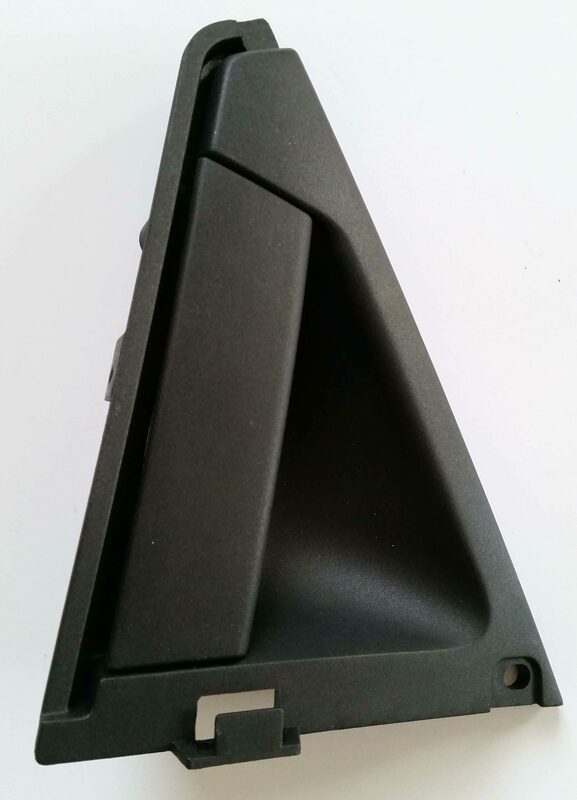 Offered in grades suitable for injection moulding, extrusion and powder grades for compression moulding, they guarantee elevated mechanical, thermal, chemical and tribological performance.